Beautiful rolling mountains, broad valleys, clean air, great schools and a focus on innovation -- that's Centre County. 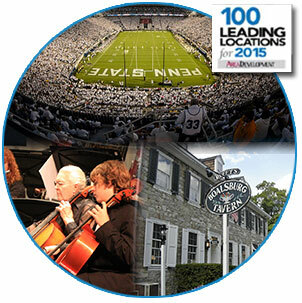 Add to that metropolitan experiences; small town charm; unique, all-season recreational activities and historic communities, and you'll understand why this central Pennsylvania haven is a great place to live, work and conduct business. We invite you to enjoy the slide show and watch the videos below to find out why quality of life is RIGHT in the Centre.